Drones in the oil industry? They have made their way into mail delivery and hurricane hunting, so it seems natural that there would be a place for drones in the oil and gas industry. In fact, a number of big names in the industry have already jumped on board, launching aerial tests in remote parts of North America. These unmanned aerial machines made their first real appearances in the industry in 2013, with new experiments and tests shifting the way we understand extraction technology. Smaller than conventional tools like helicopters, drones can reach areas that have historically troubled mapping efforts. And since no humans actually have to be along for the ride, drones can achieve mapping and monitoring at a fraction of the cost of human employees. Worldwide, new applications are emerging. Recently, geologists in Norway demonstrated that they could use drones, equipped with laser scanners, infrared sensors, and digital cameras to model an area’s minerals and rocks, making it much easier to find oil. As we move closer to having drones approved for use in conventional airspaces the pursuit to use this technology in the oil and gas industry isn’t so far off. ConocoPhillips is using the Boeing ScanEagle drone in trials in the Chukchi Sea near Point Barrow, Alaska. The company began trial flights on September 25, 2013, marking the first-ever commercial drone flight in American airspace. Its maiden voyage took 36 minutes, just enough time to test its sensors and navigation systems for the approval of American regulators. Since then, several other companies have been approved for tests, mostly in Alaska and Arctic regions. Using drones to complete land surveys is more affordable than manned efforts, making the process quick and efficient. The Norwegian team of researchers mentioned previously use their drones to generate 3D terrain maps that can be integrated with geological and seismological data to produce images of the interior of the Earth’s crust. All of this data allows experts to predict the likelihood of finding oil both on land and underneath the seabed, at a fraction of the cost of manned helicopters and other conventional techniques. 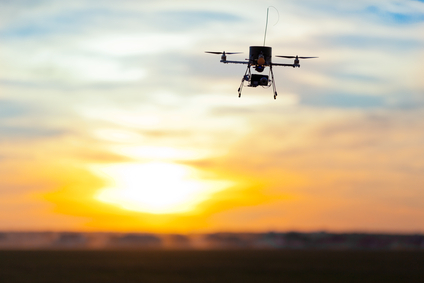 In June, BP became the first American company approved to use drones to survey its properties. Their drones come from AeroEnvironment Inc, the same company that provides 80% of the Pentagon’s drone fleet. Their Puma drone, a hand-launched craft about 4.5 feet long and 9 feet wide, will perform flyovers of their Prudhoe Bay oil field to monitor maintenance activities on roads, oil pipelines, and infrastructure. The tool can also aggregate data to create three- dimensional models of roads, pipelines, and topography. And, like other drones, the Puma’s tiny size means that it will be able to reach and map areas out of the range of conventional techniques. Thermal infrared and multi-spectral imaging capabilities enable the unmanned aircraft to detect leaks that would otherwise not be visible. Not only will this help crews respond rapidly to potential problems and provide additional information to first responders, but it will also help make decision-making simpler and more straightforward. It is even possible that as technology develops, drones using advanced imaging techniques could detect toxic particles in the air from defective pipelines, taking safety to a whole new level.